Beautify your complexion and give your skin some pamper time. These uplifting 40 minute treatments are tailored to individual skin concerns. We use a skin scanner to analyse your skin. Complimentary with all of our skin treatments or $50 redeemable on product. For gorgeous divas on the go! Don’t let a busy lifestyle get in the way of treating yourself. Designed to give you the perfect skin pick me up in just a fraction of the time. Designed for problematic, temperamental and congested skin with a focus on deep cleansing and nourishing. The results are balanced, clear, refreshed skin. resurface and replenish lost moisture supplies. The skin is left feeling supple and dewy. Purify, decongest and brighten with this mandelic acid AHA peel. Effectively treats congestion, breakouts, irregular oil production as well as inflammation and pigment concerns. A breath of fresh skin! 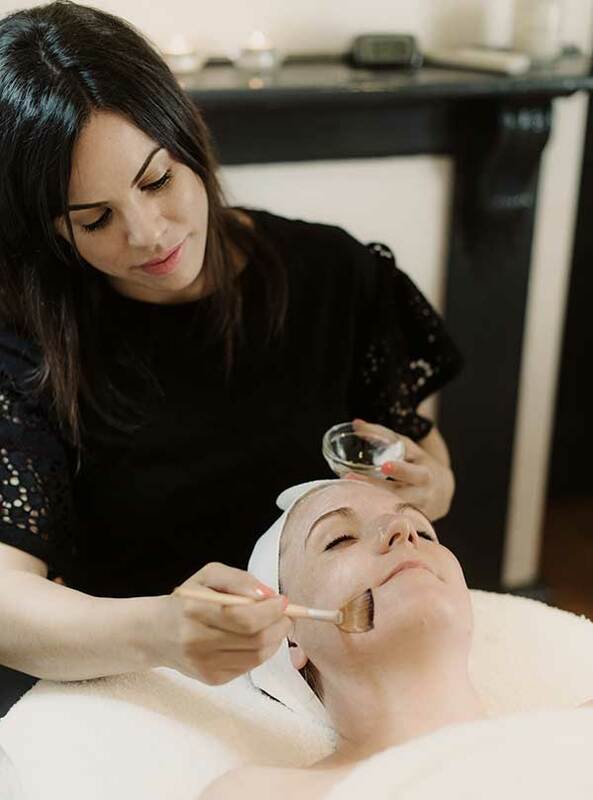 This luxury spa facial is designed to exfoliate, refine and oxygenate the skin. We use enzymes to exfoliate the surface layer and a special foam burst mask to energise and refresh the skin! We finish with stem cells to refresh and plump. This facial is the ultimate rejuvenation experience! A layered exfoliation treatment and citrus sensory journey! We use a potent Vitamin C enzyme blend solution and layer it with resurfacing AHA exfoliant and hydrating enzyme mask to accelerate results. So juicy and refreshing! The best facial for congested skin! This treatment is targeted at deep and stubborn congestion! It works on softening everything up and allowing the skin to purge and detox. Great for those with acne, congestion or pigmentation concerns.